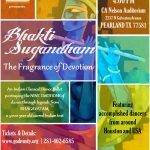 By the benign grace of the Lord and our Guru Maharaj, we have procured a Namadwaar in Garland, TX. The inaguuration of the Namadwaar Dallas was performed by Sri Ramanujamji on the auspicious occasion of Sri Chaitanya Mahaprabhu Jayanti day on March 1st, 2018. Though we have been successfully able to establish the Namadwaar, our task is only half complete. We are grateful to all our lenders who have provided loans to us for the timely completion of the purchase. And in addition to maintaining our Namadwaar, we have the responsibility of paying back the loans in a timely manner. In addition to this is the upcoming projects in the pipeline that are aimed at enhancing the exisiting structure for better use. We are in need of $300,000 to repay our loans. Your generous donation at this time will go towards loan repayments as well as property maintenance. Please remember that, at your workplace, if your employer offers employee matching contributions, we will be glad to help you register our organization for the same. This holds good for both donations and volunteer hours. We are already registered with major firms like Microsoft, Bank of America, Verizon, Thomson Reuters, United Healthcare, HP, Dell, Chase etc. Please email mayakoothan_k@yahoo.com for more information. You may choose to sponsor one or more of these. G.O.D. is a 501(c)(3) federally tax-exempt non-profit organization. [Fed Tax ID: 20-8426563]. All donations made to G.O.D. are tax deductible to the extent allowed by law. Please help us spread this information to your friends and families. Irrespective of your donation, we offer our sincere gratitude to you for considering the appeal. Should you have any specific prayer in mind, we will be happy to pray for you. Kindly email us at dallasnamadwaar@yahoo.com with your prayers.